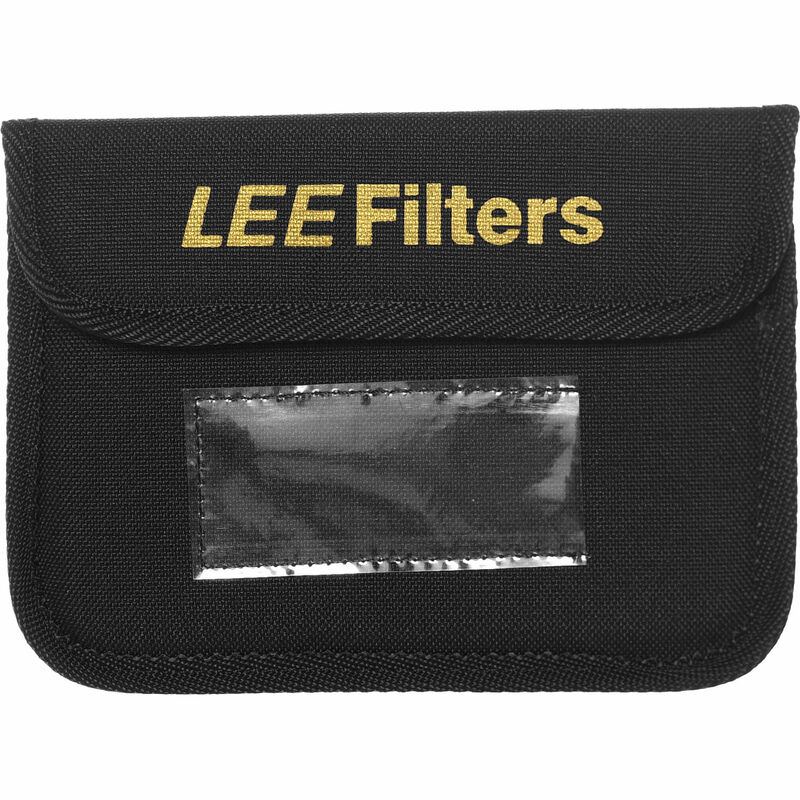 This is a Filter Pouch for 4 x 6" Graduated Filter from Lee Filters. It holds one filter. A see-through front window allows you to identify the contents. The pouch secures via a touch fastener. Box Dimensions (LxWxH) 6.929 x 4.803 x 0.551"
Filter Pouch for 4 x 6" Graduated Filter is rated 5.0 out of 5 by 4. Rated 5 out of 5 by kdee from great pouches I use these pouches to protect my Hitech filters and I bought an extra one to keep my Lee Foundation Kit and adapter ring in when I'm not using them. Rated 5 out of 5 by APerson from No Complaints! I expect that when I have more filters in the future I'll want a case that can hold several more, but for now this serves its purpose well. Rated 5 out of 5 by NJohnston Photography from Great products! The Lee Filters pouch is rugged, well built, and will definitely protect your filters. Don't go without it! I love mine! Rated 5 out of 5 by Christopher S. from WORKS AS DESIGNED THIS POUCH WORKS FINE, just as I expected!